Sony Corp (SNE) creator of Playstation 3 has two thorns in their path to glory. PS3 has a hard drive to store game data and music and can play DVDs using Sony’s Blu-ray high definition technology. PS3 sales took off very well in the early stage. However with the advent of Nintendo’s Wii which features a unique motion-sensitive controller and Microsoft’s XBox 360 which offers an extensive system for online play and high percentage availability, PS3 sales have been struggling ever since. Gamers and analysts have praised PS3 graphics, but their high prices, shortage of console and weak line-up of games have raised concerns. Sony says that the Playstation 3 shortage will be eliminated by April/May, with another 2 million units on their way to the United States. Gaming sites claim of unsold PS3s. In response Sony CEO said that in many places the games are sold out. They plan to fill shelves across United States. In January, Sony sold only 244,000 PlayStation 3s, compared to 294,000 for the Xbox 360 and 436,000 for the Wii. I make video games, currently working for Electronic Arts on the latest Command & Conquer. Last year, the prediction that the PS3 would be the dominant console, just like the PS2 was. That is no longer the case. The extremely strong performance of the Wii, combined with the miserable performance of Sony has revised pretty much everyone’s expectations. Right now, most of us here think the Xbox 360 will be on top for this generation, with the battle for second place between Sony and Nintendo. Most of us still think Sony will beat off Nintendo, simply due to the older graphics on the Wii, but it’s not a sure thing. My opinion – get the 360 and/or the Wii. Skip the PS3 unless there’s a big change in the near future. In another story eBay (EBAY) in UK is imposing restrictions on the sale of Sony PlayStation 3 gaming systems due to high demand and their limited supply. eBay US had imposed similar restrictions during the fall holiday shopping season due to concerns over fraud/scam listings. Conclusion: All three companies has clearly differentiated hardware and strategies. Who will win? Analyst believe that none of the 3 consoles will dominate the market in the next 5 years like the PS2 dominated previously. 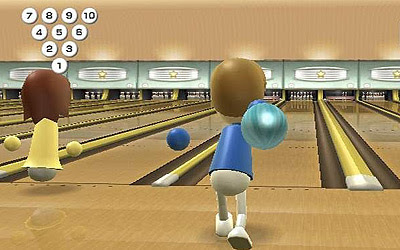 However, Nintendo’s Wii will outship and outsell the 360 and PS3 in 2007 and 2008. Recommendation: Stock prices of Sony Corp took a hit after the company paid $150 million to end a patent dispute with Immersion Corp over technology used in its game consoles and as investors sold exporter stocks on a stronger yen. Surprizingly Nintendo Ltd stock prices have suffered after the the Japanese government decided to sell its stake, about 1.4 percent of the outstanding stock. Microsoft stock prices are also seeing more of red than green, mainly due to Vista and global market meltdown. However in the longer run, the company that will sell the most gaming console would be the clear winner at the stock market, which to me in Nintendo Wii. 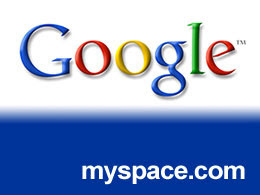 Does Google really love MySpace ? MySpace.com was founded in 2003 and bought in July 2005 by Rupert Murdoch’s News Corp. NWS. MySpace.com is a social networking website offering an interactive, user-submitted network of friends, personal profiles, blogs, groups, photos, music and videos. MySpace also features an internal search engine and an internal email system. It is currently the third most popular website in the U.S. They crossed 100 million accounts in August 2006, with a news story claiming the site attracts new registrations at 230,000/day. Before the Google deal goes through, MySpace wants to strike some more deals, especially with eBay. Now this would be a cool feature for MySpace users. This deal would allow MySpace users to buy and sell products. Additionally eBay’s payment system PayPal would become the means for payments. 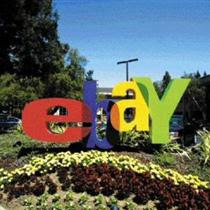 This will benefit eBay generate more revenue from the merchandize sale and payment processing fee. In return MySpace can expect a big chunk of revenue. Obviously Google is not happy with the eBay-MySpace deal. Google’s listing service Google Base and their recently introduced payment service GCheckout will take a hit. Add to that Google has realized that people looking up different profiles dont really care about clicking the ads and therefore is not turning out to be a good source of revenue. So what does Google do now ? They will be renegotiating terms of their deal with News Corp. Meanwhile, MySpace has grown in audience and will be looking for more cash. This one is going to be tricky from both ends. That said, I am sure Google will not completely blow off the deal since it will keep competitors like Yahoo and Microsoft at bay. Recommendation: Keep close eye on how the deal folds. This would affect the way these big boys do busines in the next year or two. When a company announces a buyback, it means that the company is going out and buying shares of its own company on the open market. This is generally very bullish for stocks, since it shows confidence by executives in their own companies, reduces the number of shares outstanding. With the reduction of shares in the market the demand of the stock normally goes up. This is also good news for the existing shareholders since the earnings and dividends will be split up among fewer shares.